Gert-Ove Andersson participated in the Eurovision Song Contest on one occasion, conducting the Swedish entry in 1966, ‘Nygammal vals’. This highly original jazzy tune, composed and arranged by Bengt-Arne Wallin and interpreted by Lill Lindfors and Svante Thuresson, surprisingly finished second in the international Grand Prix final in Luxembourg, with only Austria’s Udo Jürgens obtaining more votes. 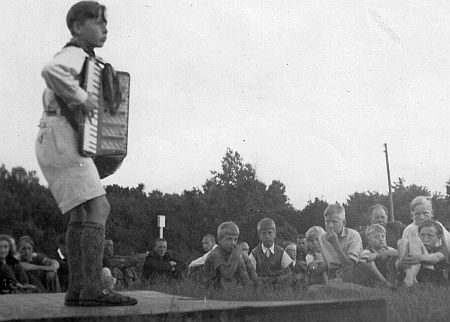 Young Gert-Ove, who thanks to his radio performances had already become a celebrity in Skåne, studied the piano at the Malmö conservatory between 1938 and 1946, his exam being to play Schumann’s Piano Concerto in A minor. During those same years, he managed to successfully finish his secondary education. 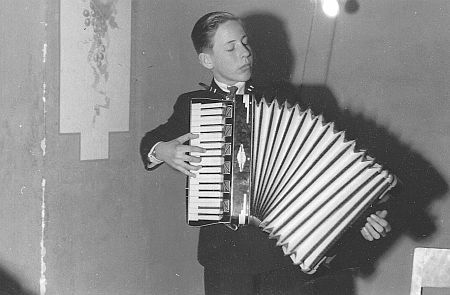 In 1939 and 1940, he participated in the Swedish national accordion championships for juniors, earning second and first prize respectively. In 1947, he won the senior version of this competition. Having obtained his diploma in Malmö, Andersson decided to continue his studies elsewhere. Between 1947 and 1949, he studied the piano with Hermann D. Koppel (1908-1998), professor at the Royal Danish Music Conservatory in Copenhagen, whilst also following lessons in composition, counterpoint, and conducting with John Fernström, a Swedish composer living in Lund. 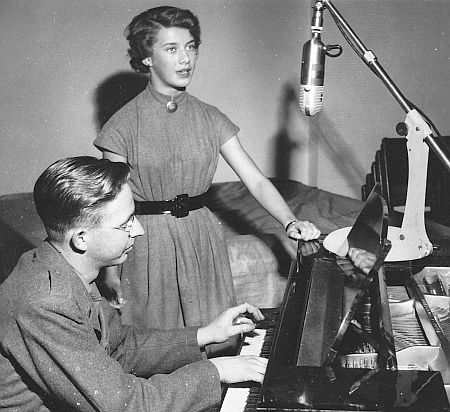 In 1949-1950, Andersson followed piano and composition courses at the Royal Music Academy in Stockholm. In 1950, unsatisfied with the studies there, he returned to Skåne and was taught by Koppel in Copenhagen for two more years. Although it was his ambition to be a concert pianist, Gert-Ove Andersson did not forget other fields of music. For two seasons (1947-’48), he was the pianist in the renowned Harry Arnold Big Band in Malmö. 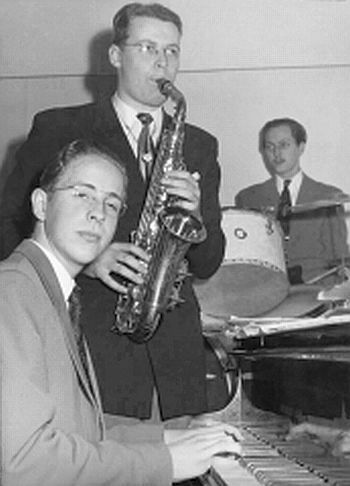 Later, Andersson was asked to become the pianist in Thore Ehrling’s Big Band in Stockholm, the best jazz ensemble in Sweden at that time, but he declined the offer, preferring to stick with his classical studies instead. In the late 1940s and early 1950s, he also regularly appeared in the Swedish version of ‘Music While You Work’ on nationwide radio, playing the piano live in sessions of twenty-five minutes. 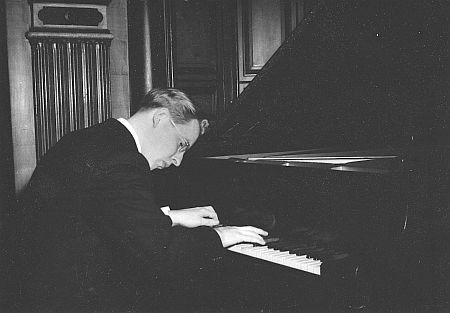 Meanwhile, Andersson had started performing as a classical pianist, giving his first recital in Malmö in 1948. Two years later, he played his own composition ‘Piano Sonata 1950’ on Swedish radio, whilst making his debut in the Stockholm Concert Hall in 1952, playing music by Beethoven, Brahms, Bartók, and Ravel. In 1952 and 1953, he performed on stage as a piano soloist interpreting works by Mozart, Beethoven, and Franck with the Malmö Symphony Orchestra, the Gävle Symphony Orchestra, and the Nordic Youth Orchestra in Lund. 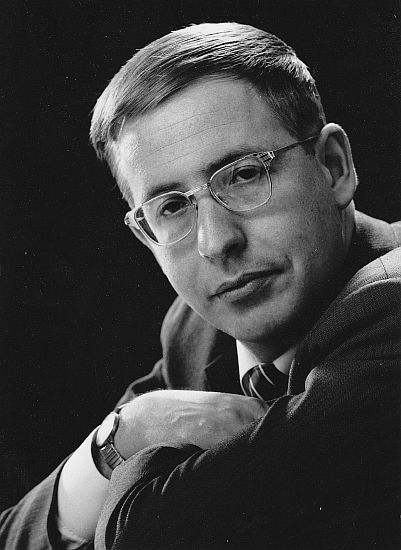 Between 1958 and 1961, Gert-Ove Andersson, who never said goodbye to entertainment music entirely, led the Light Music Ensemble in Malmö, which he had formed at the request of Swedish Radio’s head of entertainment, Tage Danielsson. Much of the material that was played by this band was arranged by Andersson himself. Simultaneously, he was regularly invited to conduct the SR Underhållningsorkester, the light entertainment of the Swedish broadcaster in Stockholm, which was usually led by William Lind, while also recording radio programmes with the Stockholm Philharmonic Orchestra. 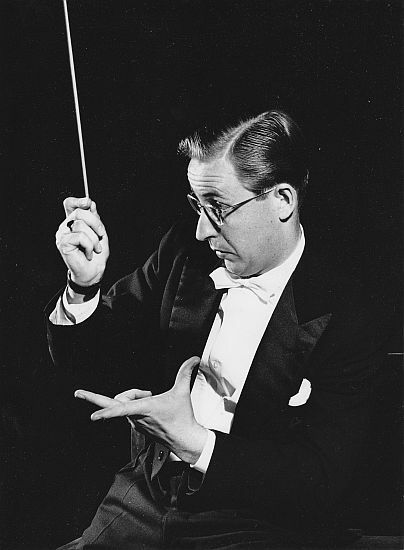 In 1962, Andersson accepted the offer of becoming the musical director and first conductor of the Oscars Theatre, a legendary operetta venue in Stockholm. This career move involved leaving the Skåne region behind once and for all. Andersson worked at the Oscars Theatre between 1963 and 1990. In his first years at the Oscars, his main task was to rejuvenate the orchestra, replacing most of the original instrumentalists with younger musicians. During his long spell at the theatre, he conducted thousands of performances, ranging from classical operettas such as Lehár’s ‘The Merry Widow’, to new musicals from West End and Broadway, including ‘West Side Story’, ‘A Chorus Line’, and ‘The Phantom of the Opera’. In 1966, he made his debut as an opera conductor with Karl Birger Blomdahl’s work ‘Herr von Hancken’ at Stockholm’s Royal Opera House. At the Royal Opera, Andersson also worked as a répétiteur for several years. Besides his work at the Oscars Theatre and the Opera High School, Gert-Ove Andersson made many appearances as a guest conductor in Sweden and abroad. On home soil, he worked with the symphony orchestras from Stockholm, Gothenburg, Malmö, Norrköping, Helsingborg, Gävle, and Örebro. He also appeared on stage with classical ensembles in several other European countries, including Denmark, the Soviet Union, and West Germany. In the 1970s, he was involved in some ambitious television productions, accompanying jazz singer Alice Babs in a programme with songs by Duke Ellington as well as conducting the SR Symphony Orchestra in a concert with American trumpet legend Clark Terry playing compositions by Bengt-Arne Wallin. 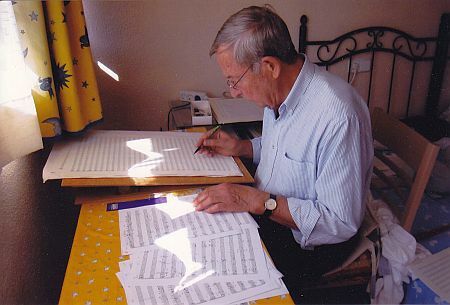 Meanwhile, Andersson’s symphonic entertainment compositions were part of the repertoire of orchestras in Sweden and across Europe. Gert-Ove Andersson was involved in only one Eurovision edition, 1966. He conducted two songs in the Swedish pre-selection: ‘Var finns du?’, a song composed by Ulf Björlin for opera singer Gunilla af Malmborg; and the eventual winner, the highly original story of an encounter between a princess and a swineherd, ‘Nygammal vals (Eller hip man svinaherde)’. Björn Lindroth’s lyrics, teeming with 1960s youth slang, were put to music by Bengt-Arne Wallin, the result being a delightful waltz melody with a jazzy instrumentation. 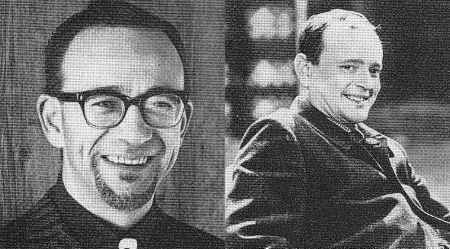 This most unusual song was interpreted by Lill Lindfors and Svante Thuresson, who were accompanied on stage by American flute virtuoso Sahib Shihab. As the musical director of the winning song in the Swedish selection programme, Gert-Ove Andersson accompanied the winning team to the Eurovision Song Contest final in Luxembourg, where Sweden did surprisingly well, finishing in second place – the best result of any Swedish entry until ABBA won the festival in 1974. 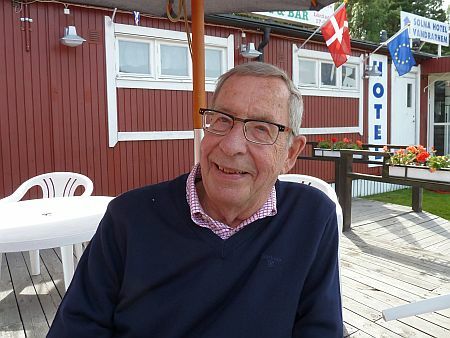 Bas Tukker interviewed Gert-Ove Andersson in Solna (Sweden), July 2011. Many thanks to Bengt-Arne Wallin for his additional comments. All pictures courtesy of Gert-Ove Andersson.